Boulder Tomato Ranch was a massive Farm operation on the outskirts of Ponyville. The fields of Tomato vines we're a pretty impressive site covering the land scape like a wave of vineyards. But even more impressive was the large gathering being planned and prepped for as party streamers, picnic tables, and even a dance floor with stage was being set up. On the picnic tables were platters of fried green tomato sandwiches, ceaser and ambrosia salads, vegetable platters with fresh fruit and cheeses, a massive bowl of hot tomato soup, plus flaggons and barrels filled with hard cider provided by the Apple family. On the other side of the tables various pastries and treats of all types had been prepped and made for the gathering, but it was inside the family home that an intoxicating scent was coming from. Inside her kitchen, Mary May Boulder was baking a massive and large four cheese eggplant Parmesan inside her oven. When she had heard Boulder Dash wanted to celebrate his prefornance and those if his friends after the Running of the Leaves, she had been happy to do so as the farm hadn't had a large celebration for years. Miss Pinkie Pie had been a darling to help with the set up and it amazed Mary May Boulder the energy the Pink pony had when it came to party set ups. 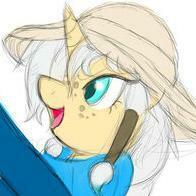 Adjusting her oven and her bandana, the middle aged mare looked up at s photo of her deceased husband and smiled at it. "Oh Boulder Gard if only you could see the farm today. But I knows ya here in spirit, ya would be so proud of the boys" she thought as she checked the eggplant Parmesan and heard her kitchen door open. "That ya'll Miss. Pie? Could ya come in here a moment darlin?" she called out in her Oatlahoma accent. Meanwhile at the farm entrance the two brothers, Boulder Dash and Rocky, we're waiting to greet guests as they arrived. "This was a great idea big bro" Rocky said looking up at his big brother happily. Boulder Dash nodded in agreement with a pleasant smile on his face as he said, "Sure as shootin it is. Nothing better then hot food and plenty of drink after a hard Day's race." Rocky nodded and said, "Plus having the purdiest mares from this side o Equestria on our farm will just make it better." Boulder Dash winked at Rocky and hoof bumped his little brother cockily. Finishing the race Heart Shield was invited to attend a party at Boulder dashes place by applejack and Taria. Getting direction from them he set off towards the outskirts in search of His farm. Parties weren't really Heart Shield things, but he decided to give it a try. Coming over a hill the Farm came into view. It was a rather large farm, Tomato plants stretched out for ever. Searching for the Entrance Heart Shield continued along the path. Passing row after row of plants Heart Shield looked to see what seemed to be the entrance to the farm ahead. Approaching the entrance at a slow trot, He noticed two ponies standing outside the entrance, possibly to greet guests. Approaching the two as casually as you could he greeted the two ponies out front "Good Evening gentle-stallions, I'm Heart Shield, This would appear to be where the parties at i presume?" He asked the two standing out front. Heart Shield wasn't really new to being around ponyville, But he had never been on a farm before. Maybe being away from the rush of Canterlot even for a little could do him some good He thought. He didn't really know anyone here to well or at all, It seemed a little awkward to him, But Heart Shield decided to try to at least get to know these new ponies. "That ya'll Miss. Pie? Could ya come in here a moment darlin?" Pinkie Pie bustled into the kitchen, covered with a fine dusting of flour and an odd scattering if sprinkles and icing. "Yep indeed Mary May!" Pinkie grinned oh so happily at her new friend. Mary May was just the best! 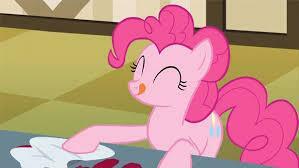 She was sweet and nice and kind and funny and a good cook and wellllll... Pinkie liked her a lot! "I just got the carrot cake that the Cake's made us for the party and a huge plate of cupcakes set up on the food tables outside!" Soon it would be time to get her party on but first, she had to actually get the party on! Pinkie was so glad the Boulders had asked her to help get the after party together! Getting parties ready for lots of ponies and creatures to enjoy was had absolute favorite thing to do! Not to mention that later there would be dancing, and a certain pretty griffoness, and just the most fun evening! "So!" She brushed down the flour that was coating her muzzle and ears. "What do ya want me to help you with next?" Gummy was still perched on Pinkie's back, his oddly blinking eyes focused on nothing in particular. "Gummy's so excited to see his friend The Bandit again! Aren't you Gummy?" She winked at her little companion. Before Hawke arrived for the party, the young griffoness had a few things to take care of first and foremost. Okay one thing really. After the race's ceremony was over, it officially meant that she could get out of that wing binder and cruise again. She would use that time to take off and get a birds eye view of the course they had just ran. The aerial view of it was pretty to be sure, but you did lose a bit of the grandeur that came from running through an autumn field. For about an hour or so Hawke zipped and zoomed around Ponyville to stretch her wings and get out some of the pent up energy that she couldn't really scratch during the race. Once that was over however, Hawke had a party to attend! With how fast she was flying, it was easier to hear her coming before seeing her coming. The tell tale sound of high speeds would herald Hakwes arrival. Swooping in low the griffoness rushed past trees and rocks and with a dramatic loop before the end would land at the entrance with a dramatic flair and a smile. "Phew, sorry it took me so long to get here. Had to give the wings a little stretch after the race." she wiggled her wings before folding them back against her body. "Man it smells really great out this way!" all it took was a quick little sniff at the air to set her stomach to growling. Sure Equestrian cuisine may not be the typical Aquellian fare, but it was still delicious and filling. But the best part was, most Equestrian food she had was homecooked, which meant it was fixed with care, rather than some of the slapped together meals one could get at a fastfood joint. Applejack limped onto the property. Though completely exhausted from the race, she was also impeded by the medium-sized barrel she adorned on her backside. She smiled with a grimace as she approached the tomato farm commons and set down the barrel on the table with the prepared treats. "Whoowee. I nearly killed myself tryin' to get this over here. And now we can try to kill ourselves by drinkin' it." Applejack chuckled, knowing how high of a proof and strong a flavor profile the apple mead she laid down was. "But first, let me see what kind of vittles we got goin' on here." She walked around the table and reached for a couple of the pastries, the ones in her grasp looking like some kind of fritter. But before she could endulge and sink her teeth into what would amount to her first meal since this morning, she got a waft of the aroma coming from the house. "What amazin' imaculations are ya'll conjurin' up in ther?" What a race it had been! So many twists and turns, and not all of them were even on the track. This had been one of the most pulse pounding, adrenaline pumping days in Taira's life. He was almost sorry that it was winding down to an end... but then he remembered the after party and immediately perked up again. 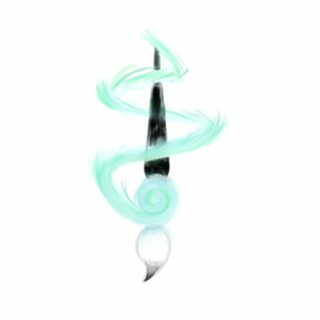 The old okami eagerly trotted up to the boulder residence, pausing for a few seconds as he caught a whiff of tender vittles on the wind. He would have galloped on ahead after that scent but his muscles were still a tad sore from the race, so instead he just moved along at a steady pace. He'd carried a sizeable cask of sake on his back, arriving not long after the mare of the day did with her own barrel. "Applejack! Glad you could pull yourself and your cider all the way here." He called out, "I made sure to keep my end of the deal as well." 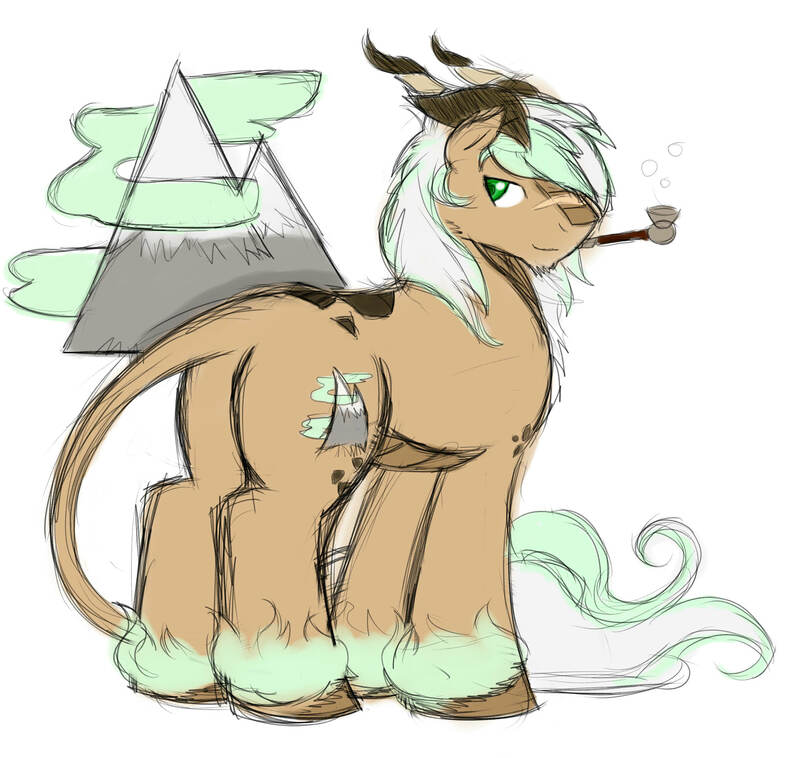 He'd decided to return to his pony form, not wanting to give anyone a fright once he arrived. With this kind of drink present though he was likely going to wind up dropping his guise again anyway, but he was willing to see where the night would take him. Upon Greeting the two stallions standing out front. He noticed ponies starting to stream in now. The first after him was a griffon which flew in over him, Then Applejack and Taira. Heart Shield could smell something delicious coming from within the farm. Trotting down the path and to the farm itself. Looking around Heart Shield was surprised at the amount of work that went into this party. Inside where barrels of cider, tables full of all kinds of food, and decorations hung about, Even a dance floor was being built!. He felt kind of bad not contributing anything. Perhaps maybe he could help in some sort of way if he wasn't to late? He thought to himself gazing about. Mary Mae Boulder giggled as a flour and sugar covered Pink Mare came into her kitchen. Ah to be young and fullbof lufe again, but Mary Mae mearly motioned to a pair of large pots on her stove that were cooking something delicious, in this case a pair of sauces to go with her egg plant dish. Going over to the pots, she stirred both and scooped out some dauce from one pot and blew on it before offering Pinkie Pie a taste. "I wanted yer opinion on the sauces I was gonna put out for our main dish. I wanna offer our special guests more then one option but as yer the expert I wanted yer opinion first" she explained holding the spoon out to Pinkie Pie. "This first one has a little kick to it. It's Grandpa Boulder's legendary Kicking Sauce. It's thick with a bit of a red pepper and garlic but not to strong. He wanted the recipe passed down from generation to generation and it's one of my boys favorites" she explained offering the spoon full to her kitchen partner. She then went over to the other pot and scooped up more sauce offering it to Pinkie Pie again. "Now dis here is my own special gravy sauce. Thinner, made with grown grape tomaters and a perfect mix of sea salt, basil, and sugar it's good for ponies who don't like spicy or thick sauces" she explained offering it to Pinkie Pie. As she did she turned when she saw a large figure stick their head into her kitchen window. She recognized the large furry head as belonging to one the other racers....Taira she believed he had been called. "Actually dear the family bane is Boulder. Dash is just my son's name. But you never mind that, ya'll gonna call me Mary Mae like all my boy's friends" she explained. Meanwhile Boulder Dash and Rocky both greeted the guests as they arrived properly bowing and addressing the guests. Heart Sheild was the first to arrive and Boulder Dash greeted the pony with a friendly grin. "It is indeed Heart Sheild. Ya'll git yerself a plate and help yerself. If ya want some tomaters to take home we got plenty" he said as motioned to the fields. The next to arrive was Hawke. The griffoness flew down from the sky like a rocket startling young Rocky who had never seen one up close before. Despite this the young Colt biwed to Hawke respectfully and treated her as he would any guest on the family farm. "Welcome to Boulder Tomato Ranch Ma'am. That smell yet inhaling is years of family tradition and hard work. Please enjoy yerself" he said with a smile. Then the race winner herself Applejack showed lugging a large barrrl if hard family cider on her back. Boulder Dash knowing she must have been exhausted from the race went over and helped set the barrel up on the table as she mentioned the scent coming from the family farm house. "That my dear Applejack is Ma's famous Eggplant Parmesan cooking. Everything in that dish was grown and raised on the farm here and believe you me when I say yer about to wrap yer purdy lips on something yet never gonna ferget again" he explained setting up the barrrel and tapping it so AJ could catch her breath. Pinkie sampled each of the sauces as Mary May scooped them out for her. The were both delicious! Like super duper delicious! Pinkie was of course the expert on sweet but she had a pallet for any food that came her way. As far as she was concerned all those years of hard work and family tradition paid off big time! She nodded her head as she listened to the ingredients with interest. "Hmmmmm," She smacked her lips after the Kicking Sauce. "Yep!" She blew out a tiny breath. "I see what you mean about the kick!" She nodded and smiled. "You're right though, it's not too much at all!" The next one she savored for a bit longer, tasting all of the rich flavors. "This one is simple and but really complex at the same time. I can taste the grape tomatoes for sure! They're sweet and add just the right flavor to this!" She stepped back and rubbed her tummy with pleasure. "Mary May you're a genus when it comes to all things tomato and that's a fact!" She looked towards the yard outside as other party goers were arriving. "I can't wait for a big serving of both of these sauces!" 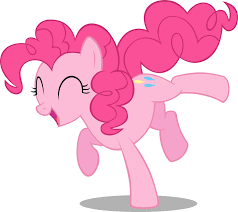 Soon she was trotting outside and smiling her big Ponk style smile at everyone! Well... everyone except for a certain griffoness. For Hawke she reserved a sly smile and a playful wink! "Hi Taira! I hope you brought The Bandit with you! Gummy can't wait to see him!" "AJ!" She pranced about her farm mare friend. "That's Mary May's super delicious tomato sauces you smell! What to grab a bowl?" She nodded to the table where the sauces would be carried to. "Hey Heart Shield! There's some big pits of sauce that need to be carried out here if you want to help?" She offered the stallion a stallion sized job. Next she slid up next to Hawke. "Hey there Hawke," Her eyes lingered on the griffoness' lithe frame for a few extra seconds. "Glad you could make it!" Hawke had to admit that the ranch pretty impressive. She couldn't think of a time she had seen more tomato plants all in one place. When ponies cultivated, that didn't do it half way that's for sure. Applejack's and Boulder's places were sure signs of that. Boulder's little brother, who if the griffon recalled right from the finish line was named Rocky, was the quickest on the draw to greet Hawke. Yup, just as much southern hospitality and pride as his older brother. The griffoness smiled in kind and gave Rocky a wink. "Well thank you, handsome, I bet I will if everything tastes as good as it smells!" The race had really worked up an appetite, which could make most anything smell good to be honest, but it wasn't an exaggeration to say the food smelt heavenly. She could hardly wait to dig in! Before she could do that though, the ever pretty pink party pony had slipped out from wherever she was hiding and slid up next to her. Hawke purred a let her tail wrap around one of Pinkie's hind legs as she gave her a hug. "Well with you here, how could I miss it? Plus, smell all that food! If I'm not careful I may end up loosing my racing figure!" she chuckled and gave her stomach a pat. Just from smell alone she felt like she was going to pack on a few pounds. It'd be extra laps tomorrow that was for sure!